Colony's factory trained mechanics and large parts inventory enables us to provide the best tool repair service in the area. We are proud to offer quality workmanship, fast turnaround time and fair pricing. And more, with new brands added regularly!!! 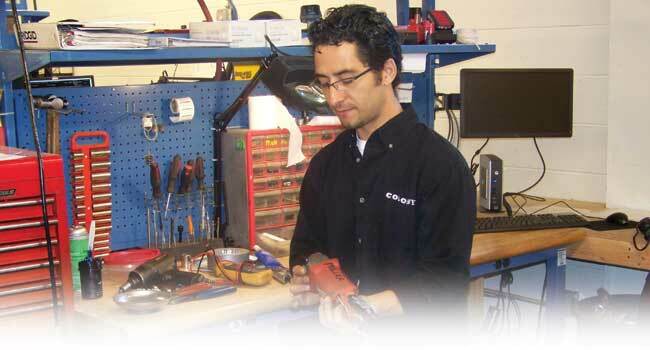 If you prefer to do your own repairs, Colony is your best source for parts. Our Customer Service team will assist you in identifying, pricing, and delivering the correct parts that you need. Because of the wide variety of products we sell, Colony is your "One Stop Shop" for all the parts you will ever need! Professional quality sharpening services include Hougen, Rotobroach Bits, Jancy Slugger® Cutters, circular saw blades, router bits, chain saw chains, and paving breaker chisels. Pick-up and delivery service is available.